I have been writing about diabetes for several years, and now I am about to launch my newest book about cancer. I became interested in cancer about five years ago when I was diagnosed with it myself and had to face the fear and challenge of surviving it. 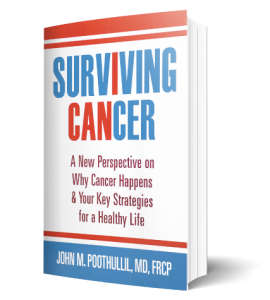 If you have cancer, or know someone who does, I can assure you that I have written my new book with full knowledge of what you are going through. Surviving Cancer will be published on November 15, and I will be pre-selling the book starting 11/1 on Amazon. I invite you to read this book to gain many new insights into what causes cancer and how you can overcome it to live a healthy life. Here is an excerpt of the book in the rest of this blog. A history of cancer in families suggests that there may be a line of inherited defective genes passed from one generation to the next. But there are many individual factors relative to one’s diet and environment that can affect your predisposition to cancer. 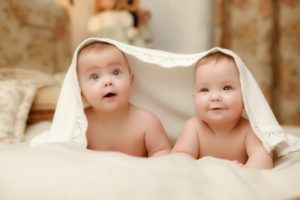 For example, studies on identical twins who are raised by different parents in different environments show that if one twin devel­ops cancer, it doesn’t mean that the other twin will develop it in the same site. However, the concordance for cancer is higher among monozygotic (identical) twins who share all genes than among dizygotic (fraternal) twins who, on average, share 50%. For example, the absolute risk of the same cancer before the age of 75 years for the monozygotic twin of a person with colorectal, breast, or prostate cancer was between 11 percent and 18 percent. By comparison, in dizygotic twins, who have the same degree of genetic similarity as full siblings, the risk of these cancers was 3 to 9 percent. Consider this analogy to understand the implications of your genetic inheritance. Your family is like a brand of cars that all have engines capable of speeds from zero to 120 mph. But each driver (every member of your family) determines the actual speed at which the car goes. In the same way, each of us is the driver of our genetic inheritance. Whether consciously or not, we influence the activation of those inherited genes through our dietary habits, exposure to toxins and environmental pollutants, and factors related to the strength of our immune system. The conclusion among cancer specialists is that inherited genetic factors appear to contrib­ute less than 20 percent to one’s susceptibility to cancer, unless there is a specific inheritance pattern and detailed statistical analysis shows otherwise. This means that the increase in the risk of cancer even among close relatives is generally only moderate. By contrast, genetic inheritance of some conditions other than cancer have a far higher risk of mortality. For example, the premature death of adults due to infections and vascular causes has a strong genetic background, and there is a fivefold increase in the mortality rate among adoptees living in different environments whose biologic parents died from infections. One reason that environment may be more influential than genetics is that although genes themselves contain recipes to make proteins, switches called epigenetic tags act upon a person’s underlying genetic sequence to activate the genes. So even if you inherited genes identical to a twin who lived elsewhere, your epigenetic tags may not be activated due to a dissimilar environmental exposure. As a result, the expression of your inherited capabilities could be very different from that of your twin. Pre-Sales Start November 1st, 2017! This insightful book will be available November 15th, 2017 on Amazon. Choose the gift this life-saving information for a loved one this holiday season.